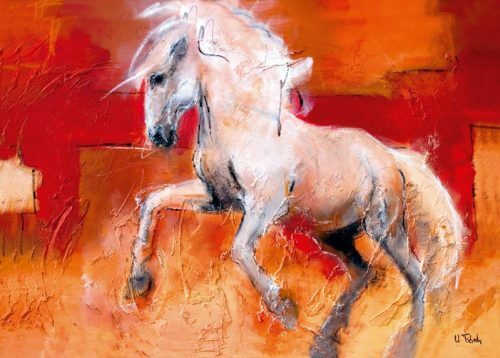 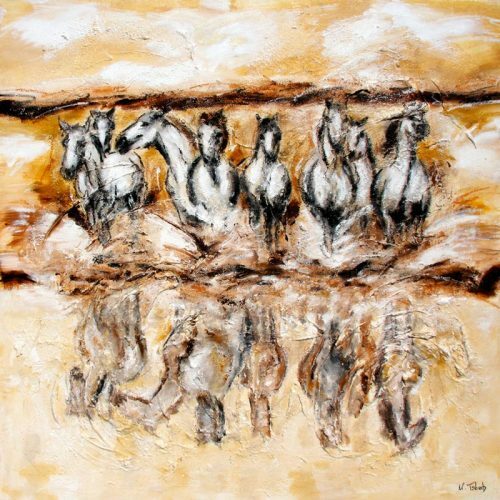 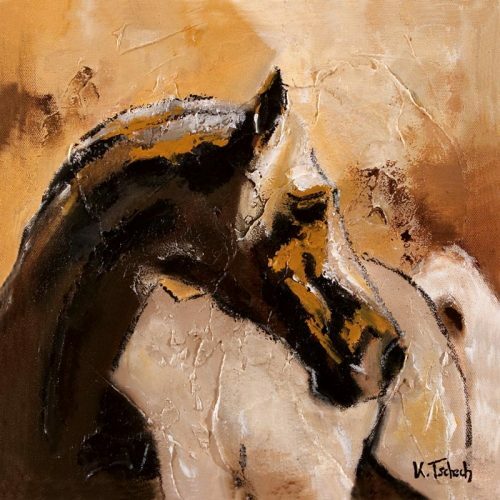 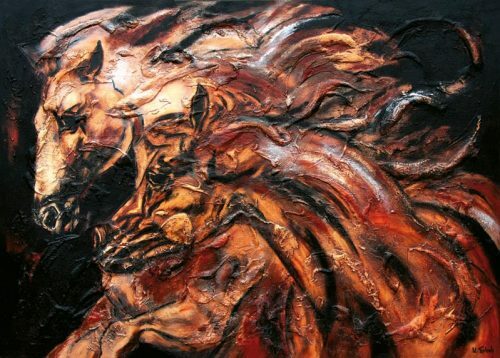 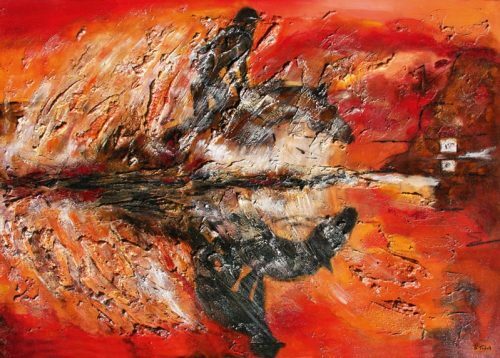 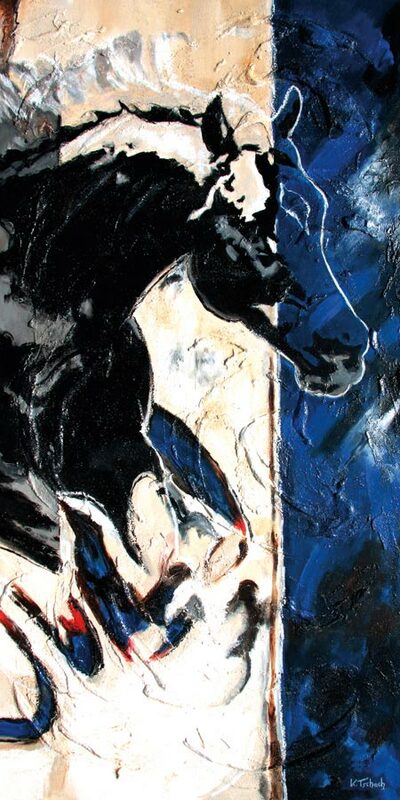 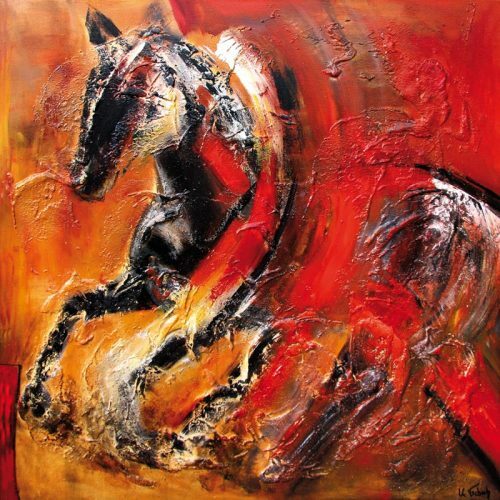 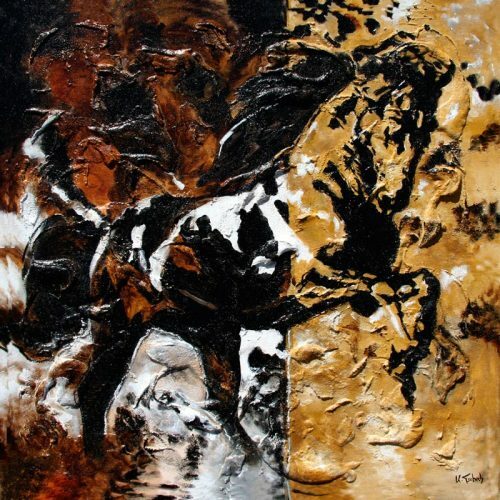 Behind the abstract horse paintings of Kerstin Tschech is the whole wealth of her creativity. 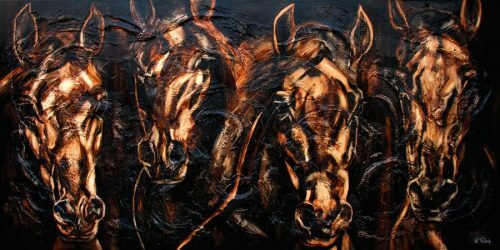 Whether from a bird’s eye view or from close up you can see painted horses, which were captured on canvas in a very artistic way by the artist. 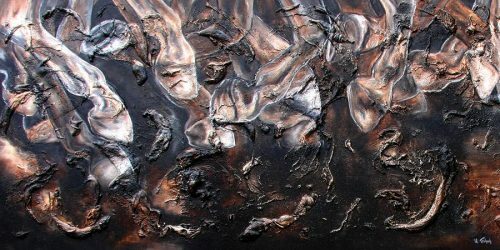 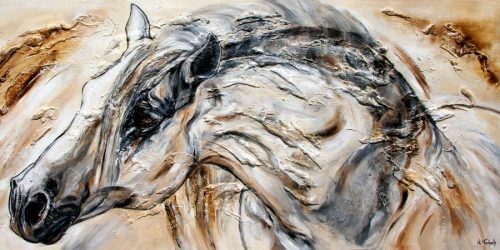 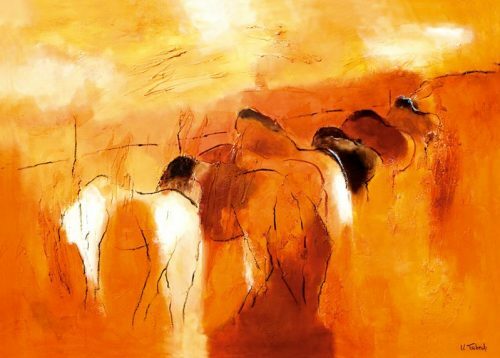 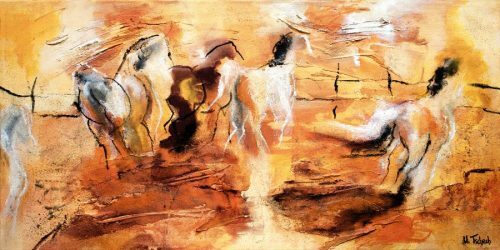 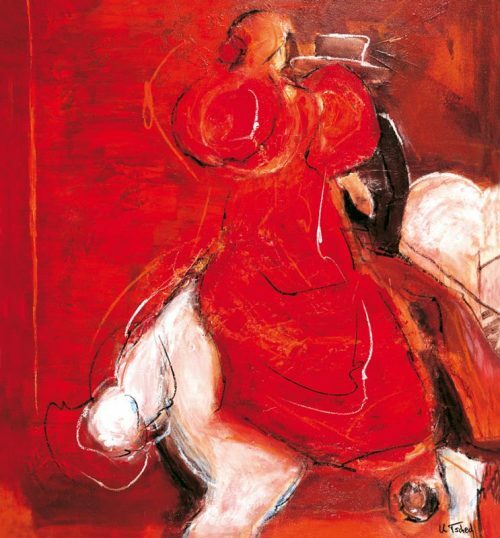 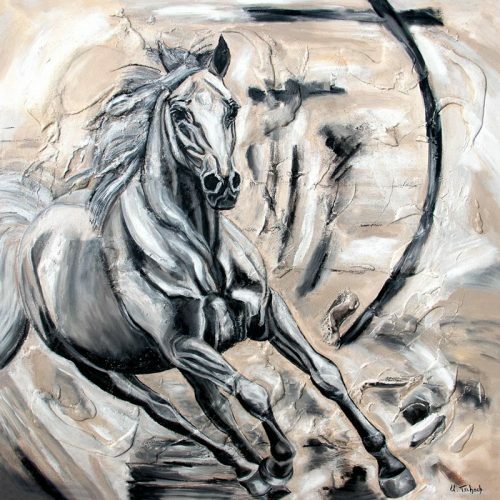 The abstract depictions of her horse paintings are one of the special passions of her craft, in which she leaves a certain scope for interpretation to the viewer and paints the horses abstractly according to her own imagination. 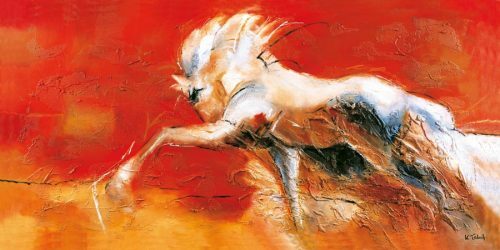 In the abstract horse painting the artist tries to detach herself from realistic circumstances and concentrate on an experienced feeling. 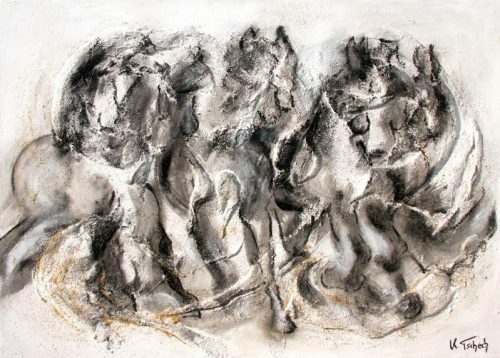 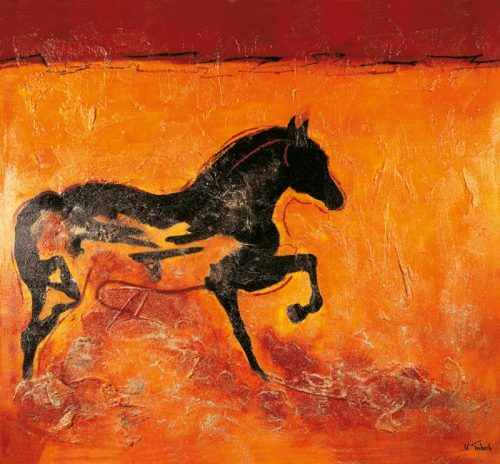 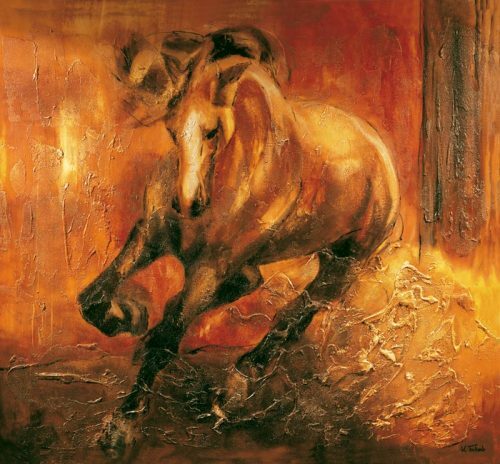 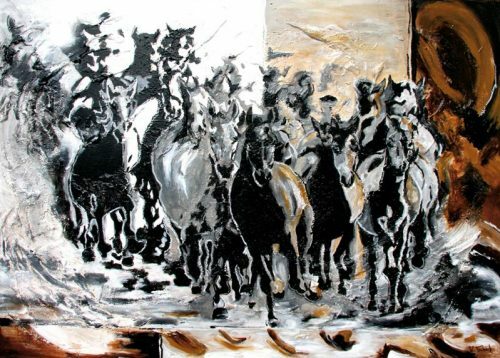 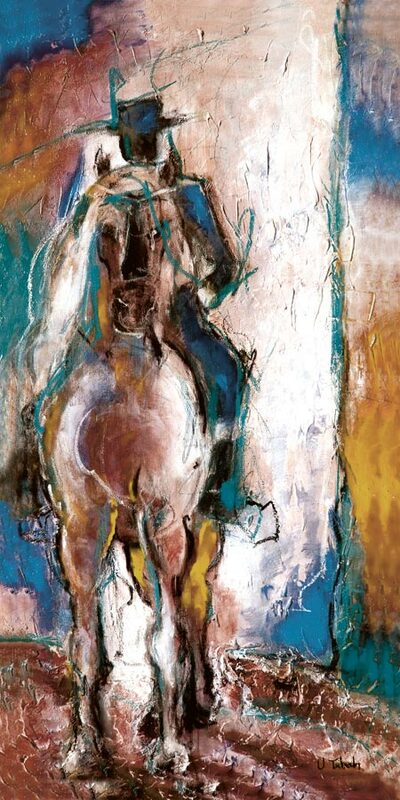 Thus, abstract art in horsepainting often evokes a memory that is captured pictorially from one’s own imagination. 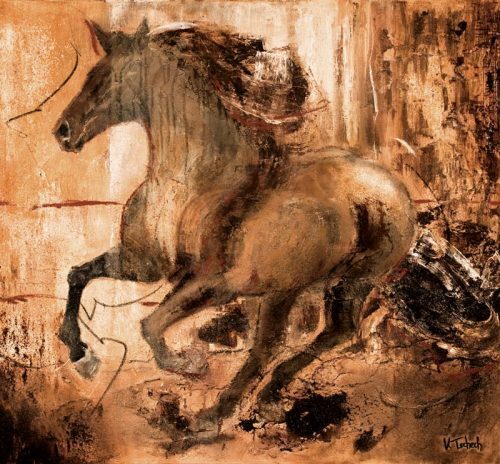 Thus the artist detaches herself from the realistic world of horses in the abstract representations of her horse paintings and gives the viewer the opportunity to build up his associations individually with the painted horsepicture. 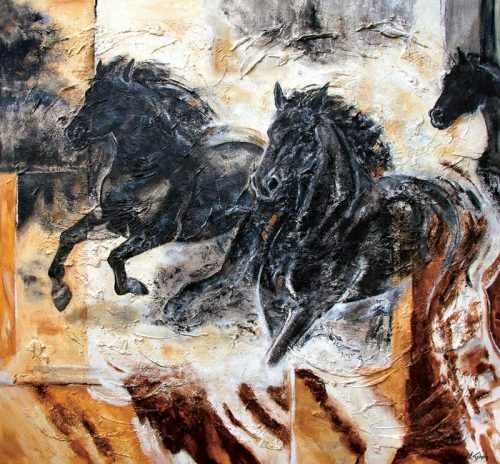 Whether as a triptych or in portrait or landscapeformat, you will find hiking horses in the great outdoors, galloping herds of horses with particularly dynamic charisma or individual horses in a special pose. 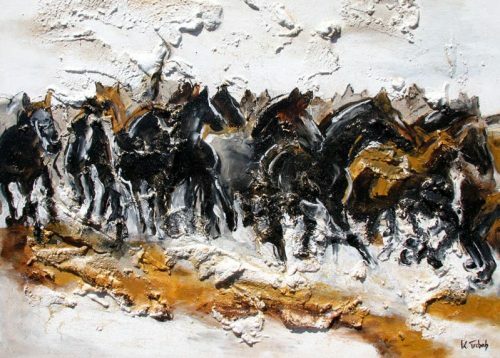 These horse compositions are staged by the artist through a special play of colours. 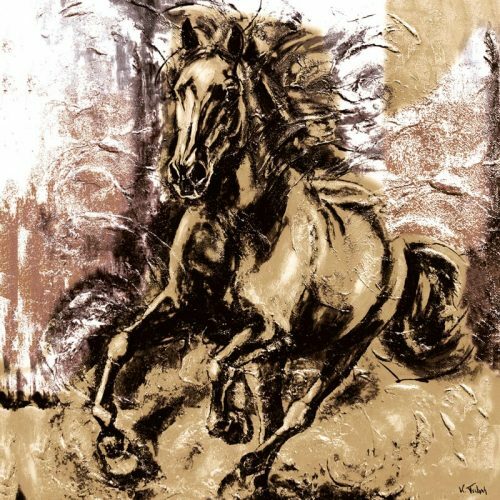 This leaves nothing to be desired with regard to the colour composition and the embedding of a horse’s art print in your own walls.